I am a beginner in LaTeX, especially in TikZ package. 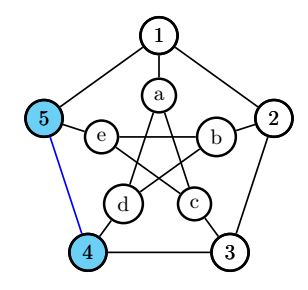 I want to draw Peterson graph with some styles. I expect, that nodes 4 and 5 will be gray, but I have only red edge. I followed the link given by @Kpym in his commentary and adapted the solution given by hftf. Not the answer you're looking for? 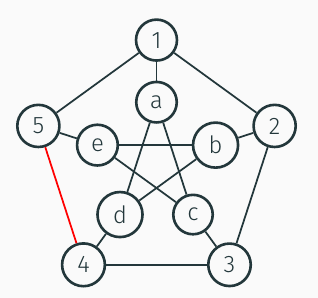 Browse other questions tagged tikz-pgf nodes graphs or ask your own question.